Comments: Heavy wear and creasing to cover/edges/corners. Rips and tears on edges of pages and binding. OVER 90 IN STOCK 8/2/18 WE HAVE NUMEROUS COPIES Cardboard showing on corners, edges and spine of book. Cover solidly attached but may show signs of loosening. Binding still intact and strong, and all pages are present and usable. HARDCOVER. WE HAVE NUMEROUS COPIES. Black-out marks on edges of pages. School markings/highlighting throughout book, but do not impair usability. 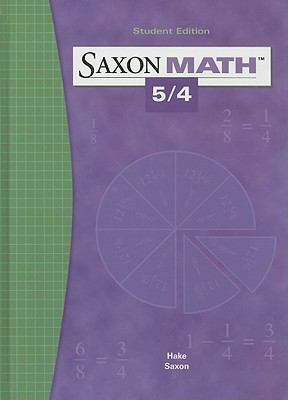 Hake, Stephen is the author of 'Math 54', published 2004 under ISBN 9781565775039 and ISBN 1565775031. Loading marketplace prices 502 copies from $5.00 How does the rental process work?